Caldarium of the Roman Baths in Bath, Somerset. 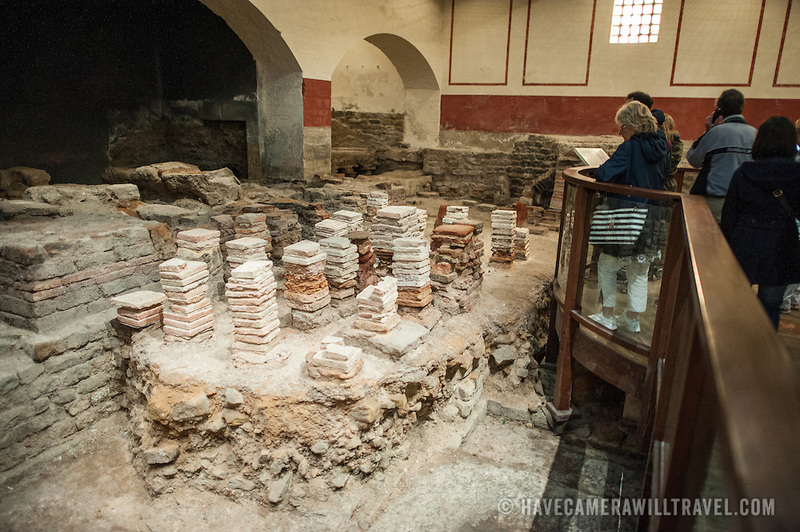 The caldarium of the Roman Baths of Bath in Somerset, United Kingdom. The tiled towers allowed steam to heat a lay of flooring that was placed on top of them.